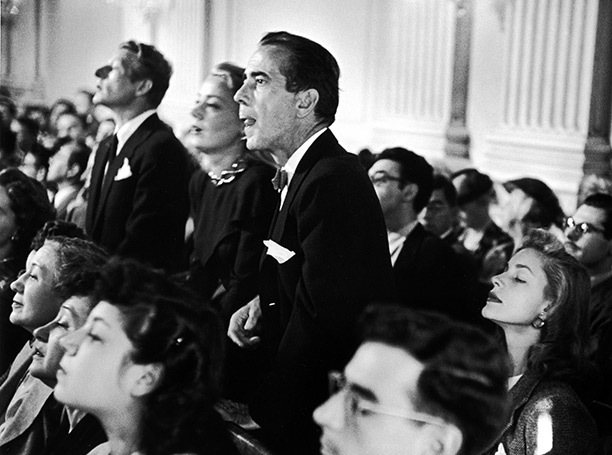 Roger Hudson tells the story behind a gathering of glamorous movie stars in Washington DC in October 1947. The House of Representatives’ Un-American Activities Committee (HUAC) is in session on October 31st, 1947 in Washington DC, seeking to expose Communist infiltration of the movie business. 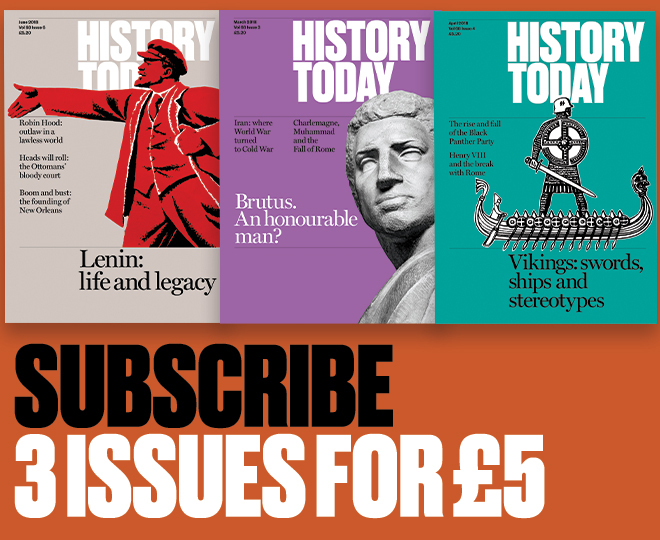 After the end of the war in 1945 it became clear that America’s new enemy was the Soviet Union and a Red Scare had been whipped up by far-right elements within the Republican majority, set on discrediting the Roosevelt administration of the New Deal era and the war years. The hearings began with testimony from Walt Disney, Ronald Reagan and others that the Communist threat in Hollywood was a real one. This was countered by the organising of The Committee for the First Amendment (safeguarding the rights of free speech and assembly) by, among others, Humphrey Bogart, his wife Lauren Bacall and Danny Kaye. It is they, together with June Havoc (standing, Canadian-born actress and sister of Gypsy Rose Lee), who can be seen in the picture, intent on the proceedings. This is the most important part, when 11 'unfriendly witnesses' have been called and, with the exception of the German playwright Bertold Brecht, have then refused to testify to their political affiliations. It might all be in the best, neat Hollywood style of storyline, with good guys on one side and bad on the other, but for the fact that these ten producers, directors and scriptwriters had indeed been members of the Communist Party, though they had denied this in testimony back in Hollywood. The director John Huston, another member of the Committee for the First Amendment, later claimed that the reason they refused to testify was that they did not want to lay themselves open to a charge of perjury. He added that, if he’d known at the time, he would have disassociated himself from them. Certainly Hollywood had been politicised after the 1934 campaign of the socialist novelist Upton Sinclair to win the governorship of California, which was strenuously opposed by the film studio executives. There were two major strikes and Hollywood became a centre of progressive politics, though little of this emerged in the films being made there. The fate of the Hollywood Ten was to be cited for Contempt of Congress, given prison sentences and fired by their studio heads. It was not until 1951 that HUAC attacked Hollywood again, by when its Reds Under the Bed paranoia had reached new heights, thanks to the Communist bloc’s possession of atomic weapons and the Korean War. Of the several hundreds called to testify, two hundred refused to cooperate and were blacklisted by the industry. Many others who failed to clear their names were graylisted. The consequences of both lists was the same: careers destroyed. Perhaps the most damaging effect of the activities of HUAC and its evil genius, Senator Joe McCarthy, lay beyond their destruction of individual lives via their kangaroo court methods, phone tapping, mail tampering, revocation of passports and forcing of friends to testify against each other, not merely in the film world, but in the universities, the civil service and elsewhere. For too many Americans it smeared with suspicion any kind of collectivist project – Medicare, Medicaid, the Marshall Plan, the Civil Rights Act – or any critique of capitalism; and it made too many Americans chary of participation in civil society for fear of the mud that might be slung their way.